Businesses of any site need a successful website. That fact is so clear, it might seem obvious. But it bears mentioning: the vast majority of your potential consumers first learn about you through your online presence. In fact, up to 80% of users across industries research your website before making a purchasing decision. And yet, the process of getting there can be complicated. Because organizations across the spectrum have recognized the importance of a website, countless vendors have propped up to help them get there. With so many web design and development solutions available, how can you make sure you find the right one for your business? To answer that question, let's deep dive into the most important factors of great web design across industries. These factors can act as the baseline to help you find a platform uniquely suited for your needs. To say that today's internet is an ocean might be an understatement. An estimated 1.8 billion total, and 200 million active website exist today. To be successful, and to get your message in front of your audience, you have to be strategic. That means not just building an online billboard that parrots your biggest selling points, but actually differentiating yourself from your competition. Take a close look at the five principles that guide attractive and effective web design today. Then, use these factors to differentiate your online presence from that of your competition. Your messaging needs to be focused on your audience, not just your business. It needs to be easy to read, and even easier to navigate. Visual elements, particularly attractive graphics, videos, and animations, are absolutely vital. More specifically, look at six factors that can differentiate your user experience from that of your competition. The online presence of a manufacturer will look very different from that of a dentist. And yet, in a sense, all websites are created equal. In fact, they all need to possess these 6 component to successfully attract and convert your audience, and help your business grow. Even novice marketers are familiar with SEO at this point. Search engine optimization helps you be found online by an audience that might not specifically look for your business. SEO works; Google alone sees 3.5 billion searches every single day, and most of your site's visits will likely come through a Google search. 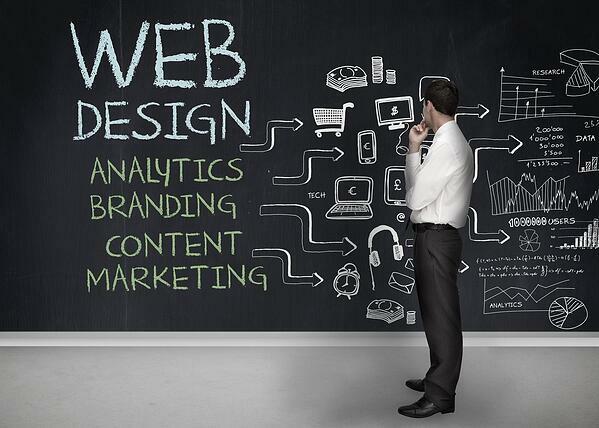 Any web design platform needs to allow you to build your SEO strategy. As you build your website, how many decisions are made with your user in mind? User experience is an absolute must for modern website design. Visitors should be able to actually enjoy spending time on your site, and easily find the information they're looking for while also navigating to related insights. By the end of this year, 60% of all online users will use their mobile devices first. 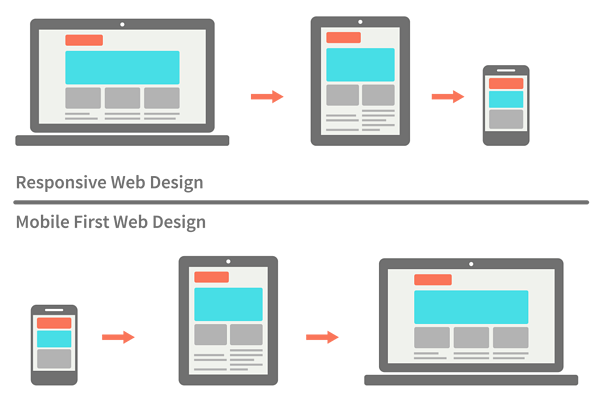 How your website responds to the changing screen sizes is a central question in the design process. If the platform you're considering doesn't offer responsive design capabilities, your website won't look equally well on phone and desktop screens. The consequences could be devastating. User experience and responsiveness should also extend to the content. What capabilities do you have to adjust your content based on your audience? Ideally, the platform should account for interactive, relevant content. Almost 80% of internet users are more likely to buy from you if your website content is personalized specifically to them. Don't limit your website to an information gathering tool. For your business to grow, it needs to play an active role in generating leads and customers. 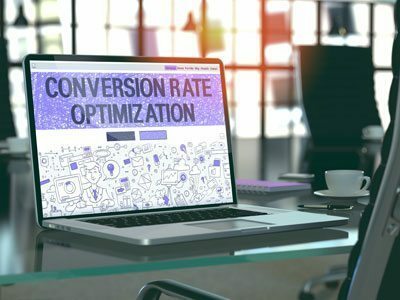 Building your website with lead generation in mind means adopting a conversion optimization mindset, where every path leads to conversion opportunities. Of course, your web design software needs to support that. Finally, don't underestimate the importance of tracking your web and marketing success. Look for providers that can easily integrate solutions like Google Analytics. That way, as you build your strategy, you can dynamically analyze results and make improvements for greater marketing success and business growth. No business website can be successful in 2018 and beyond without at least considering the above six factors. When choosing a platform to help you build that website, two additional variables begin to matter: price and administrator friendliness. These are the 6 website design software options that most closely align with the needs of growing businesses. Let's begin with what might be the most basic and easiest tool on the market. Wix is not shy about the fact that it offers an introductory product; you can build a free website and keep it free forever. Even the paid plans are lower than any option here. That, plus the ease of use even for users who are decidedly not web designers, make this a great tool for small business websites and freelancers. But as your company grows, the the service becomes less useful. Wix traditionally gets a bad reputation from SEO experts. It offers a mobile version of every website you build, but that means maintaining two separate pages rather than having a single, responsive one. Personalized content is not possible, and conversion optimization as well as thorough analytics are only possible with third-party apps. Making things worse, transferring your website from Wix to another service is needlessly difficult. So even if you think your business might grow in the future, other website builder options probably make more sense. Wix and Squarespace often get compared as simple, user-friendly options for small businesses at a reasonable price point. Wix has the edge on Squarespace because of an unlimited free option, but that's where the advantages tend to end. Squarespace offers more SEO customization options, helping you target specific keywords relevant to your industry. User experience is similar, but most templates do offer truly responsive design that adjusts to screen sizes. Unfortunately, that's where the benefits tend to end. As with Wix, personalized content is not possible. Conversion and analytics integration is complex, and requires third-party apps. Squarespace is a better option than Wix for growing businesses, but that should not be satisfying when other, better options are on the market. 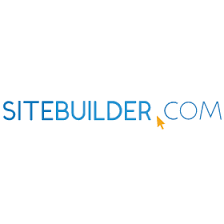 Without a doubt, SiteBuilder's biggest selling point is its ease of use. That applies both to the end user, and to anyone managing and building the site. The drag and drop editor for web pages and individual sections might just be the best of all options listed here. That ease of use translates to visitors, who get clean and modern site design that features both ease and pleasure of navigation. Responsive design is another selling point of this software platform. Every template available, by default, responds dynamically to screen sizes. The result is a smooth experience regardless of the device your audience uses to search and browse your site. Finally, a price point at $11/month for the most expensive option is nearly unbeatable across its competition. Unfortunately, the benefits end there. Like Squarespace and Wix, this software offers much to small businesses with a limited audience and functionality. Once your company grows, the website can actually become a hindrance. Especially for businesses embracing the inbound concept, a lack of conversion optimization and limited third-party opportunities make SiteBuilder a platform that only becomes a more significant problem over time. You might be surprised that the world's most popular website design platform didn't finish in the top spot here. Actually, the fact that it is so popular might also be one of the reasons why it didn't finish first in our ranking. First, the positives. WordPress is much more customizable than any of the options already discussed here. As a result, you can build better search engine optimization, and ensure a more seamless mobile experience. But of course, that comes at a cost. For instance, WordPress is not nearly as administrator-friendly as some of the more plug-and-play counterparts. And the potential problems don't end there. Conversion optimization, personalized content, and analytics integration are all possible. But you can only implement them through third-party integrations, which increase the complexity even further. Too many plug-ins also tend to slow down your website, depressing your user experience. The price, of course, is important to consider. As an open source software package, WordPress is free. That makes it a good fit for growing businesses. Still, some of its significant downfalls (including the potential need for dedicated web staff on your payroll) should make you hesitate before jumping on the bandwagon. Finally, we get to the winner. 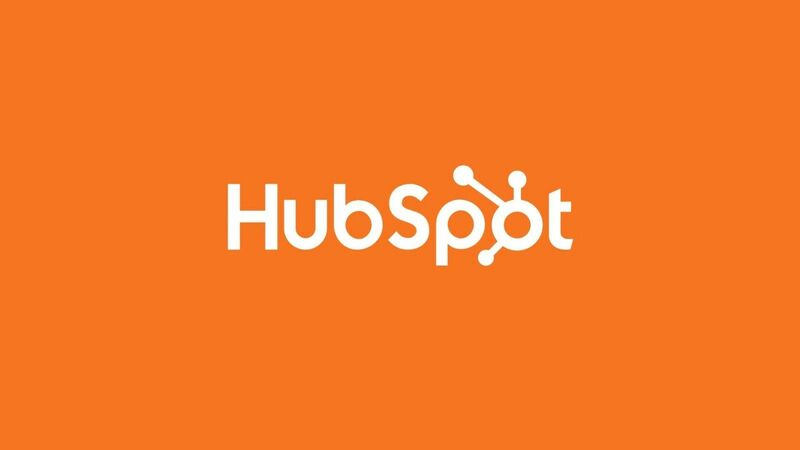 Most businesses don't think of HubSpot as a website builder. But that just might be a good thing. In today's environment, and as mentioned above, your website needs full integration with your various other digital channel. The comprehensive marketing platform and Content Optimization System (COS) accomplishes just that. Take, for instance, search engine optimization. 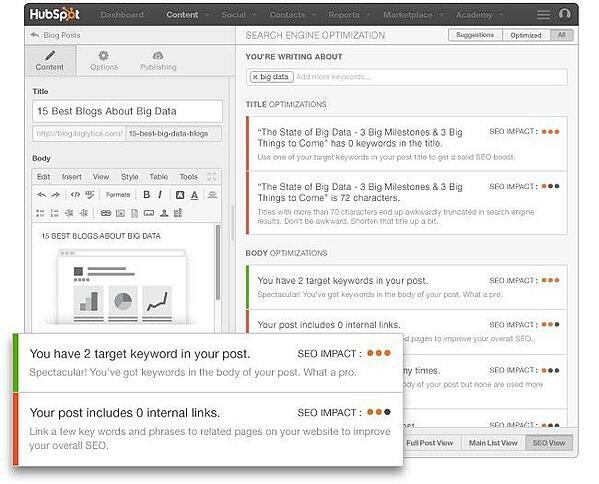 Where other tools allow you to customize your individual pages, HubSpot goes one step further. The platform's internal keyword research tool helps you find out exactly what to target, than build your website with those specific targets in mind. This seamless integration also carries over to the conversion aspect of great website design. HubSpot recognizes that you want your website to be more than a digital billboard. As a result, sign-up forms can easily be built into any web page, as can call to action buttons that lead to those landing pages. All web building is through a simple editor; no coding experience needed. What's more, the resulting leads get dynamically captured into the software's own contact database. Now, you can build nurturing campaigns to drive them toward becoming customers using workflows and nurturing emails, all within the same platform. It's the true definition of full-funnel integration, from the first website building block to the customer. And of course, HubSpot offers an internal analytics suite that tracks this process, reports results, and a allows you to make improvements. Finally, the crown jewel. You might have recognized at this point that none of the above options offers personalized content as an option for building your individual pages. Because it's more than a website builder, HubSpot does. Through the software's Smart Content module, you can change your web visuals and text depending on your visitors. First-time visitors see a default version of your website. But once they become a lead and enter your database, you can use any of their attributes for more customized variations. Greet new leads and existing customers by their first name, show a more relevant image based on their gender, and much more. Of course, that excellence comes with a price. HubSpot is much more expensive than its competitors above, but that's because the platforms really aren't comparable. Sign the contract, and you don't just get a website builder. You get a comprehensive marketing suite that can cover your SEO, email, social media, lead generation, and content marketing needs. In other words, it's the perfect option for a growing business looking to scale its marketing efforts. Given its user-friendliness, modern development options, and full-funnel integration, it's the best possible choice for growing companies. And yet, especially if you don't have the luxury of dedicated marketing personnel, you still need a partner that can help you in the strategy implementation process for your new website. That means, in most cases, finding an agency who can be the right HubSpot partner for your needs. And in fact, that's exactly where we come in. RiseFuel is proud to be a HubSpot Silver Certified Partner Agency. That means we're considered by HubSpot to be experts on the web and marketing platform. That expertise, in turn, becomes crucial as we help you build your online presence. More web design, as you might have noticed, is about more than your website. Instead, that website has to be built with your entire marketing presence in mind. HubSpot's content optimization system allows you reach that far, and RiseFuel can help you realize the concept. You can find marketing agencies, and you can find web design companies. But you cannot always find a partner that combines both, on the best available platform for growing companies. Contact us today to start discussing a potential partnership, and propel your business towards growth.